Facilitate the determination of the optimal cell density, time point of analysis and multiplexing of readouts (e.g. cytokine(s) ELISA) of TLR4 specific cellular activation in a highly reproducible and safe procedure. Released November 2014. 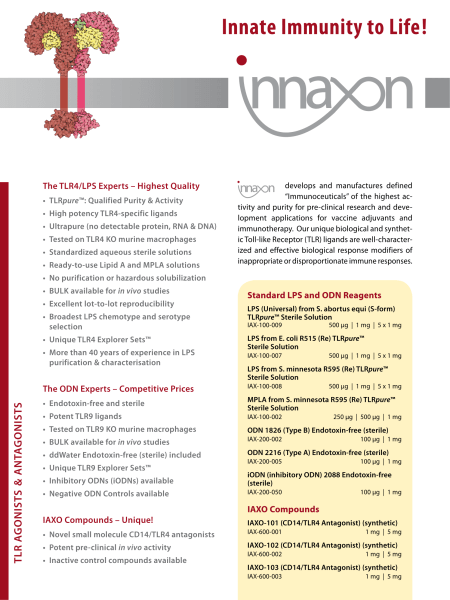 Innaxon develops and manufactures defined “Immunoceuticals” for pre-clinical research and development applications for vaccine adjuvants and immunotherapy. 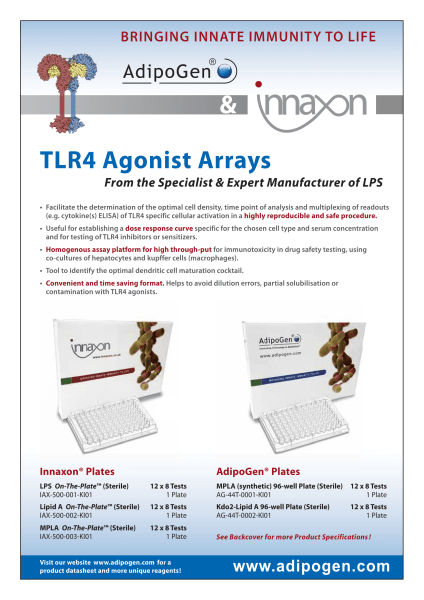 Their unique biological and synthetic Toll-like Receptor (TLR) ligands are well-characterized. Released February 2013.